How much will expansion of ‘529’ savings plans help Catholic education? WASHINGTON (CNS) — One of the clauses in the Tax Cuts and Jobs Act of 2017 — the sweeping tax bill that was pushed through Congress between Thanksgiving and Christmas — expanded the “529” savings plan. Named after Section 529 in the Internal Revenue System’s tax code, the plans allowed parents to invest money for their children’s college education, however far down the road that was. Now, 529 plans can be used to sock money away for grade school and high school tuition in private schools — including Catholic schools — while accruing the same tax benefits as have the college plans. Another change: There is no limit to what can be contributed to the savings plan. But before anyone rushes to the bank to transfer money to a 529, keep in mind that while the new federal law now allows for the change, 529 plans are state-based, so each state must first adopt language that would permit this change. “Some states are saying you might be able to use them right away. In some states, the plans don’t allow it; the state is not interested in giving you the benefit of something that might cost them money … or take away from the public school system,” said Matthew Giuliano, an assistant general counsel for the U.S. Conference of Catholic Bishops. Currently, about 13 million U.S. families have 529 plans set up for their children. Upon establishing the plan, they’ve got potentially a dozen years or more to contribute to the plan to defray the potential tuition hit while getting tax benefits — principally, allowing money to grow tax-deferred and up to $10,000 a year to be withdrawn tax-free for qualified education expenses at a qualified higher education institution. With the expansion to K-12 education, parents now, in theory, could begin contributing to a 529 plan before the child has even been born. 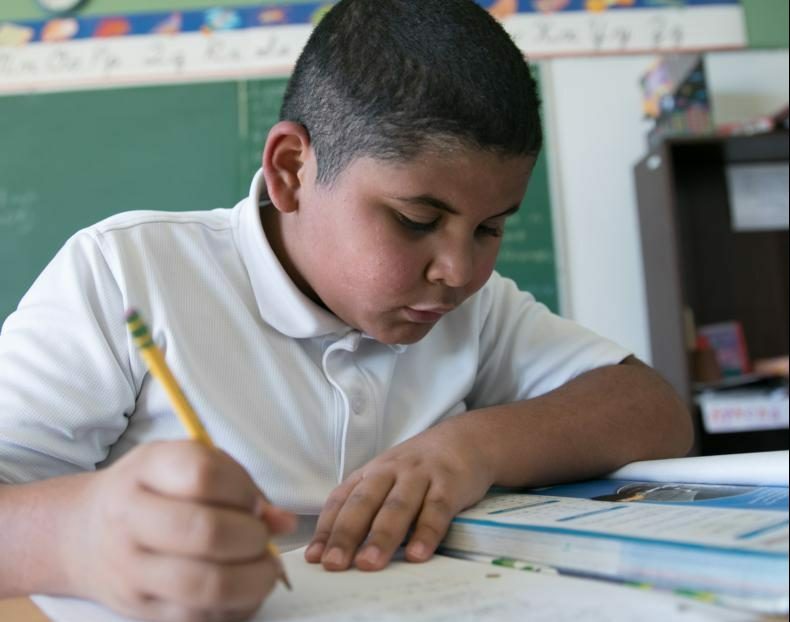 “This could give them up six years to get ahead” before enrolling their child in a Catholic school, said Jennifer Daniels, associate director for public policy in the USCCB’s Secretariat for Catholic Education. College 529 plans allow contributions to be paid not only for tuition, but room and board, books and computers. Sister McDonald planned to meet Feb. 7 in New Jersey with diocesan school superintendents, with the 529 expansion as part of the agenda. Some families have used a “530” plan — a Coverdell Education Savings Account — for K-12 tuition. But its scope was more limited than a 529. Sister McDonald noted the new tax law also permits Coverdell accounts to be rolled over in 529 plans. One other significant change is the definition of who may contribute to such a plan. Under the original 529 framework, it was parents. Now, it could be pretty much anyone. “Grandma and Grandpa, aunts and uncles, and parishioners” could make contributions under an expanded 529 rubric, Daniels noted. “I was the principal of a grade school, and I know there are parishioners who really want to make a difference in children’s lives,” Sister Fleming said. Under the new law, not only can multiple people contribute to an account, multiple accounts can be opened for the same child, according to Kathryn Flynn, content director of savingforcollege.com, which provides research on 529 plans’ performance rankings and other metrics, then recasts it to make it more understandable. With no annual limit to contributions, the sky is theoretically the limit, “though states may max out” on the amount, such as what it would cost cover the estimated expenses of an undergraduate education in that state, Flynn said. In truth, 529 plans can also be used for graduate school costs and have no expiration date. Nor should parents with a 529 plan run out to empty the account to pay for next year’s seventh-grade tuition at a Catholic school. “There are complications to using your existing 529 money,” said Kim Rueben, a senior fellow at the Tax Policy Center, who talked to Catholic News Service prior to a Feb. 1 roundtable in New York on the implications of the changes wrought by the new law. “That largely has to do with state rules that aren’t necessarily totally clear,” she said. More than 30 states and the District of Columbia have a 529 plan. Contributions invested in a bull market make sense, according to David Rydszeski, an institutional relationship manager, for Ascensus, the company that serves as investment manager for the District of Columbia’s 529 plan. “I believe the Dow is up 44 percent since Election Day 2016,” Rydszeski said. It hasn’t exactly translated into a surge of new accounts, though. Rydszeski told CNS that just one person interested in an opening an account due to the 529 expansion had called him in the first month after the tax bill became law.